Dessert has a lot of responsibility weighing on its shoulders. Dessert is the punctuation to a meal. It’s the last thing people eat and the taste will linger until the next meal. 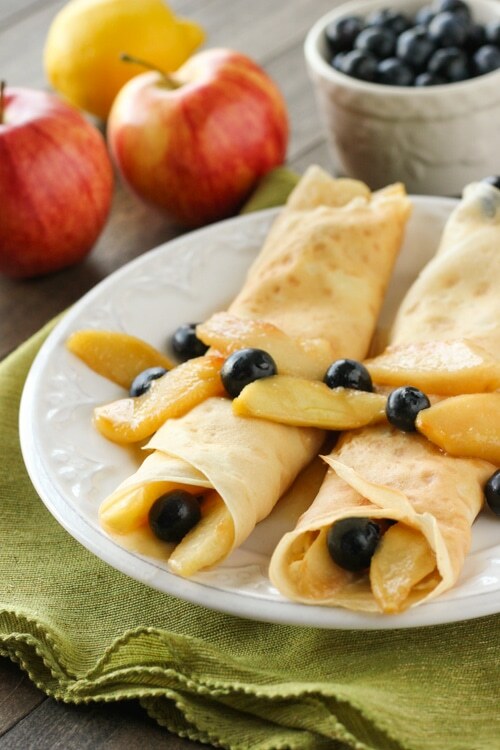 If you want a stunning and exquisite dessert that doesn’t take all day to make and every pot and pan in your pantry, you’ve just got to make crepes. 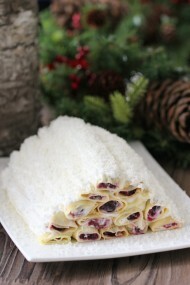 The crepes are thin and delicate with an amazing combination of flavors and textures. 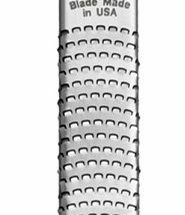 The creamy cheesecake-like filling has a zesty lemon flavor that starts to melt when it’s paired with the warm, buttery and saucy apples. 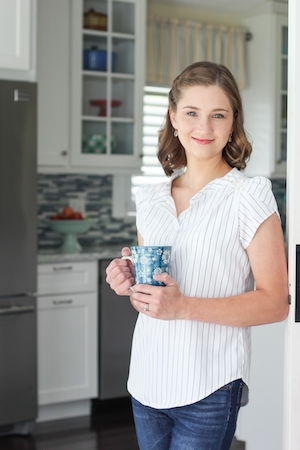 Let’s not forget the bursts of fresh and juicy blueberries that round out each luscious bite. 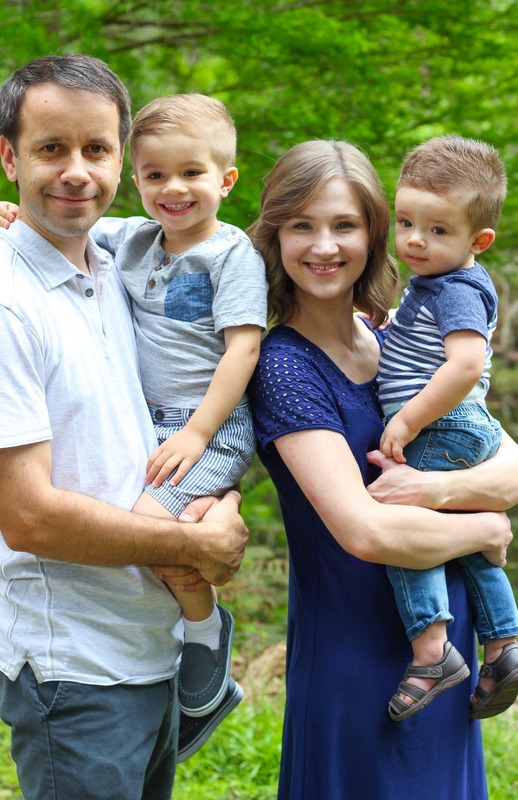 I know this sounds like it could go on the menu of a 5 star restaurant, but you can make it for dinner on a regular Thursday to make any family mealtime extra special. 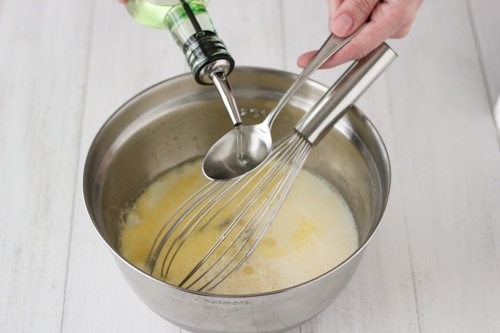 Whisk the eggs with the sugar and salt. Pour in the milk and oil, mix to combine. 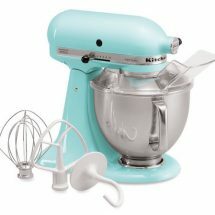 Add the flour and mix to combine. 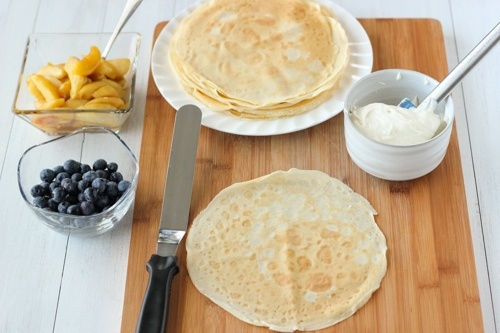 Refrigerate the crepe batter for 15-20 minutes, or even overnight. Heat a nonstick skillet over medium high heat. Brush with a little bit of butter or oil, using a paper towel to distribute an even amount over the skillet. 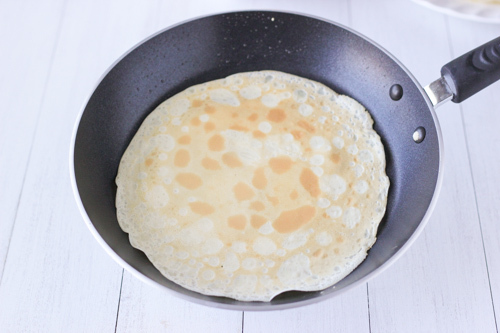 When the skillet is hot, pour in some crepe batter and tilt the skillet, distributing the batter evenly over the surface of the skillet. 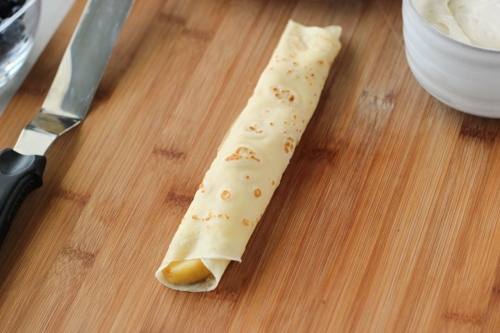 Flip the crepe over when the edges are slightly dry, about 1 min on the first side and 30 seconds on the second side. 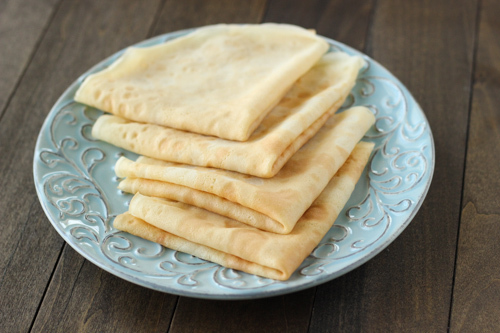 Repeat with all the batter, putting the crepes on a round dinner plate and covering with aluminum foil while you’re cooking the next crepe, to prevent the crepes from drying around the edges. You should have 16-18 crepes, if you’re using an 9-10 inch skillet. 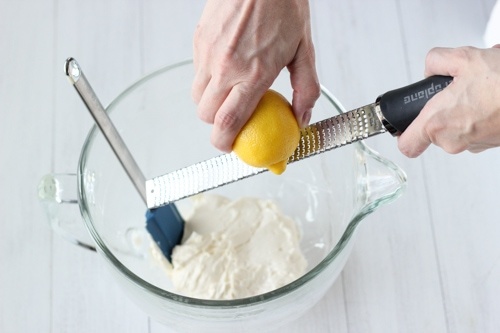 Mix the softened cream cheese, granulated sugar, vanilla and lemon zest. Melt the butter in a skillet on medium heat. Add the apples, brown sugar and lemon juice. Cook the apples on medium heat until the apples are softened, 5-10 minutes, depending on how thick or thin you cut the apples. 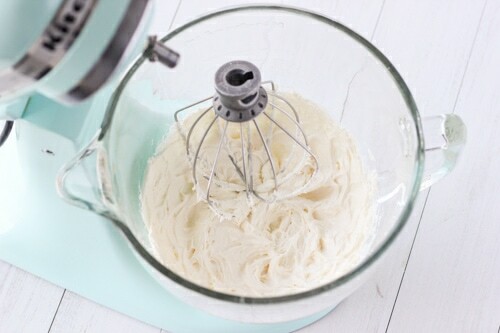 Off the heat, add the vanilla. 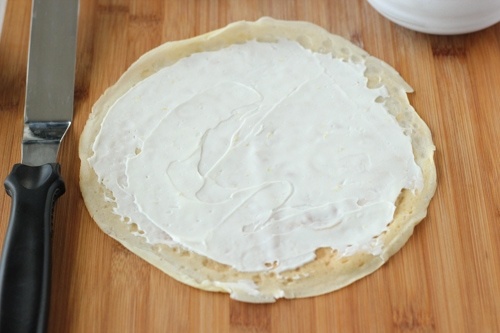 Spread a thin layer of the cream cheese filling on each crepe. 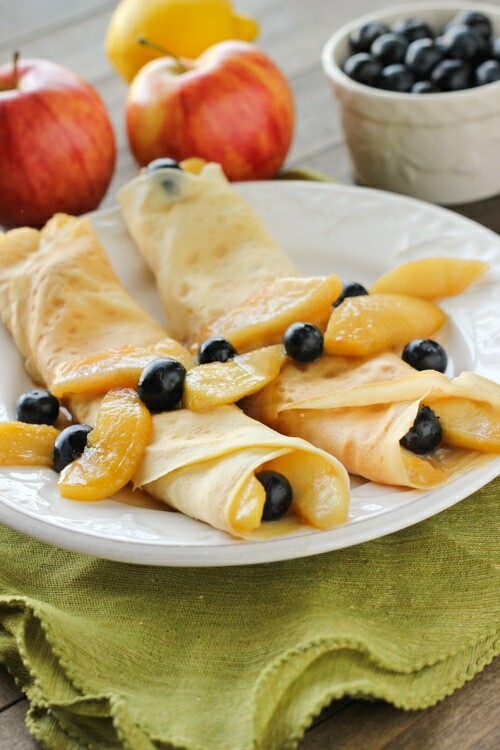 Place the cooked apples and blueberries in the center of the crepe, and roll the crepe around the filling. Drizzle some of the syrup over the crepes. 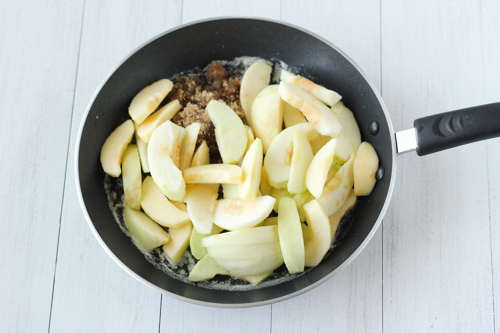 If you want the syrup to be thicker, add 1/2 a teaspoon of cornstarch to the apple filling before cooking it. 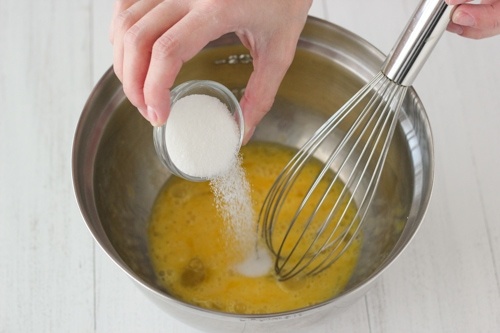 Whisk the eggs with the sugar and salt. Pour in the milk and oil, mix to combine. 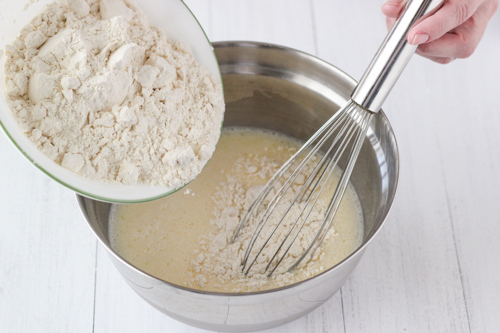 Add the flour and mix to combine. 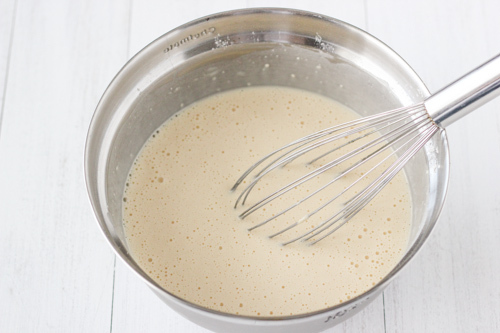 Refrigerate the crepe batter for 15-20 minutes, or even overnight. Heat a nonstick skillet over medium high heat. 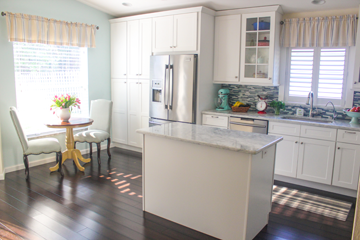 Brush with a little bit of butter or oil, using a paper towel to distribute an even amount over the skillet. 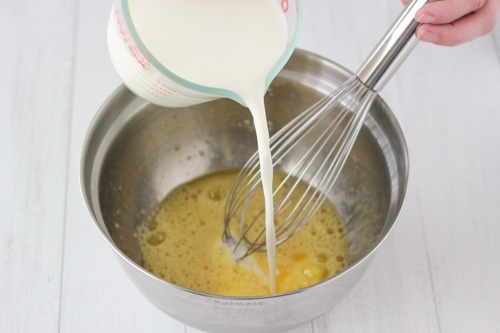 When the skillet is hot, pour in some crepe batter (a little bit more than half of a ¼ measuring cup for an 8 inch skillet) and tilt the skillet, distributing the batter evenly over the surface of the skillet. 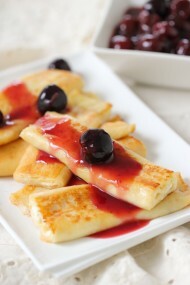 Spread a thin layer of the cream cheese filling on each crepe. 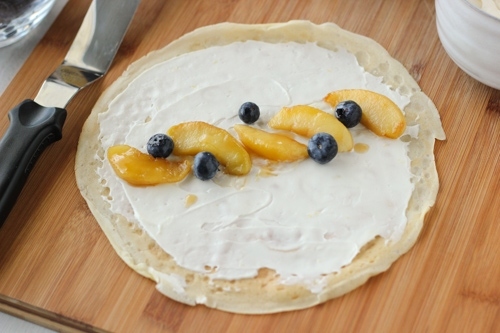 Place the cooked apples and blueberries in the center of the crepe, and roll the crepe around the filling. Drizzle some of the syrup over the crepes. 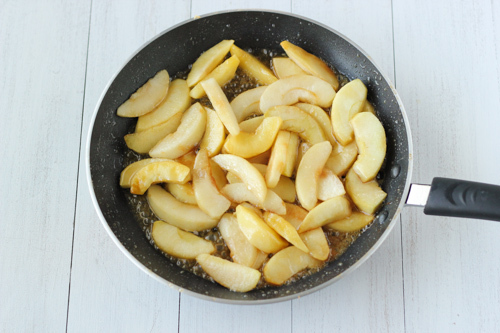 If you want the syrup to be thicker, add ½ a teaspoon of cornstarch to the apple filling before cooking it. That’s awesome, Julia! 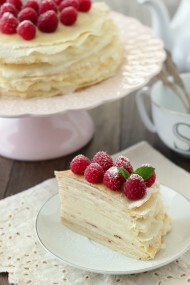 I especially love the lemon zest in the cream cheese filling:). I’m glad you and your husband liked the crepes.